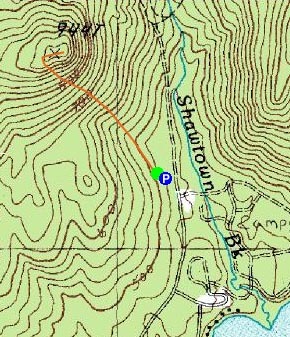 While my original intent was to hike Stacy Mountain, I couldn't seem to locate a trailhead. Since I only had limited time until I had to head south for the day, I decided to check out Mary's Mountain. Arriving at the Danforth Bay Campground, I wasn't quite sure where the trailhead was. There has apparently been a lot of work done at the campground in recent years, so the topographic and aerial imagery doesn't accurately show the roads or parking lots. I was just about ready to leave when I spotted the trailhead sign above the RV/day use parking lot. Since the bugs were out, I wasted no time in getting moving. 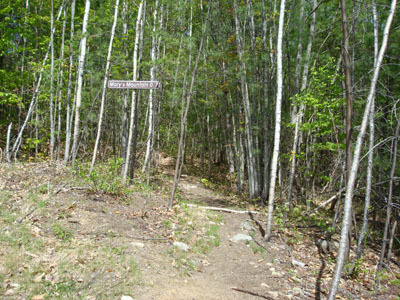 The trail is fairly gradual until it crosses a snowmobile trail about halfway up. Shortly after this, the woods open up and reveal a quasi meadow and some moderately steep ledges. 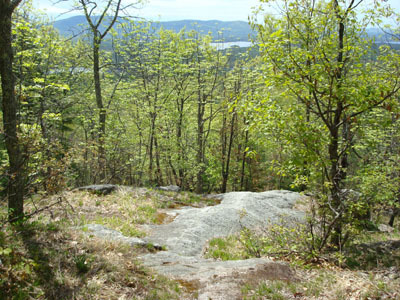 The high point is bit past the first ledge, on a second ledge/small cliff. 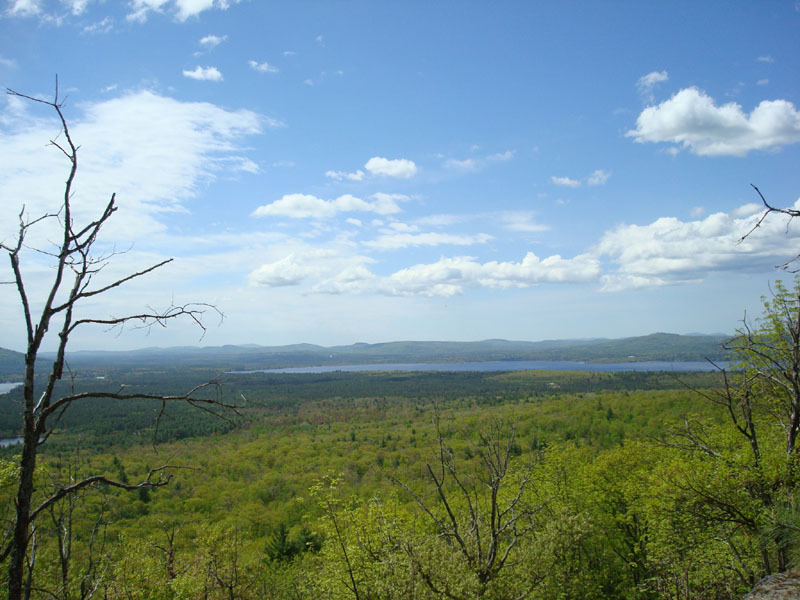 The views were good - looking east at Foss Mountain, south at Green Mountain, and southwest at Ossipee Lake. 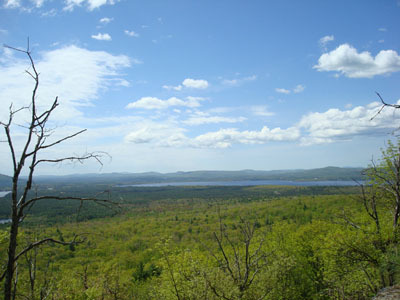 While I wanted to enjoy the sights and good weather, the black flies drove me away. 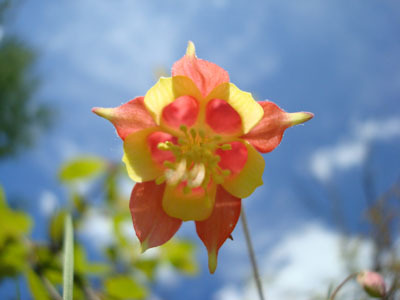 Other than stopping a few times near the top to look at a flower I had never seen before (which I later identified to be a wild columbine), I headed straight down. 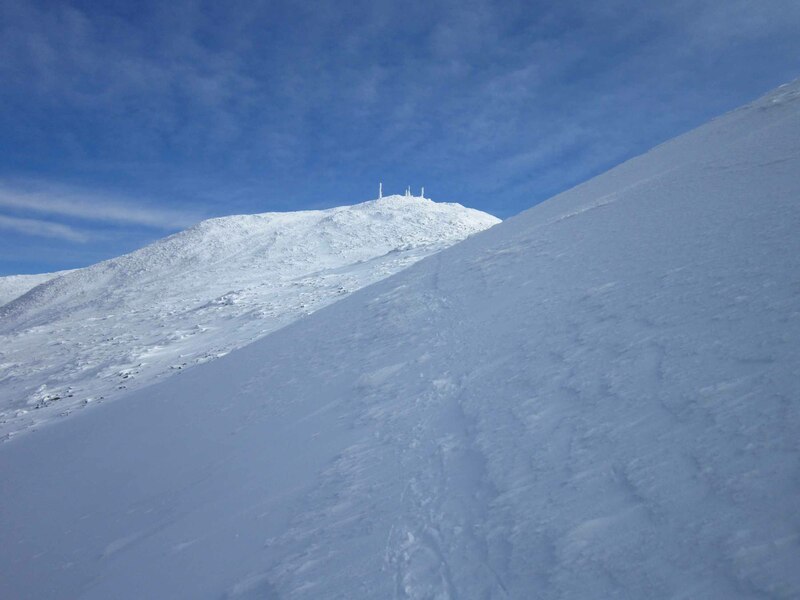 Not a bad little peak - good to know I have another short, easy hike nearby.